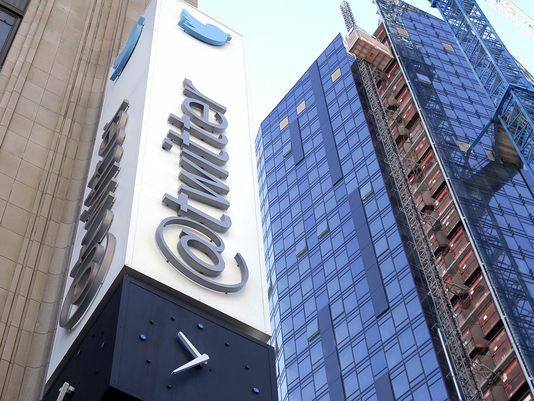 SAN FRANCISCO: Twitter said it has found Russian efforts to influence the US presidential election in 2016 were more extensive than it originally thought, with some 677,775 Americans having followed or liked tweets put out by a notorious Russian troll farm. The company said in a posting on January 19 that it has found and shut down another 1,062 accounts associated with the Internet Research Agency, a St Petersburg entity that has often been described as a “troll farm” connected with the Kremlin. That brought the total number of such Russian Twitter accounts to 3,814. Twitter said those Russian accounts posted 175,993 tweets in the 10 weeks before the November 2016 election, approximately 8.4 per cent of which were election-related. “Such activity represents a challenge to democratic societies everywhere, and we’re committed to continuing to work on this important issue,” it said. Twitter said it also identified another 13,512 automated accounts that were “Russian-linked” and actively tweeted during the election, bringing the total of such automated accounts to 50,258. However, it has notified Congress of its findings and will continue to search for other activity that might have been overlooked. The company said it would e-mail the 677,775 people in the United States who followed, retweeted, or liked content from the Russian troll farm during the election. Lawmakers and researchers say the St Petersburg agency employs hundreds of people to push pro-Kremlin content under phony social-media accounts. Twitter said that because it has already suspended the agency’s accounts, their tweets are no longer publicly available on its platform. The company in September said it had suspended about 200 Russian-linked accounts, and it suspended advertising from Russian media outlets RT and Sputnik the following month. Top Democrats in Congress praised Twitter’s latest disclosures on Russian influence efforts and urged it to keep monitoring for abuse of its platform. “I’ve been tough with Twitter on this, but I’m encouraged to see the company beginning to take responsibility and notify its users of Russia’s influence on its platform,” said Senator Mark Warner, the ranking Democrat on the Senate Intelligence Committee.